Mountain Studies Institute, in partnership with San Juan Mountains Association and the Water information program, and with generous support from Southwest Water Conservation District and Trout Unlimited (Five Rivers and Dolores River Anglers Chapters), have conducted a teacher workshop entitled Forests to Faucets: My Water Comes from the San Juan Mountains. To learn more, read this July 2015 publication: Children’s book series and associated curricula support elementary education and outreach in water resources. 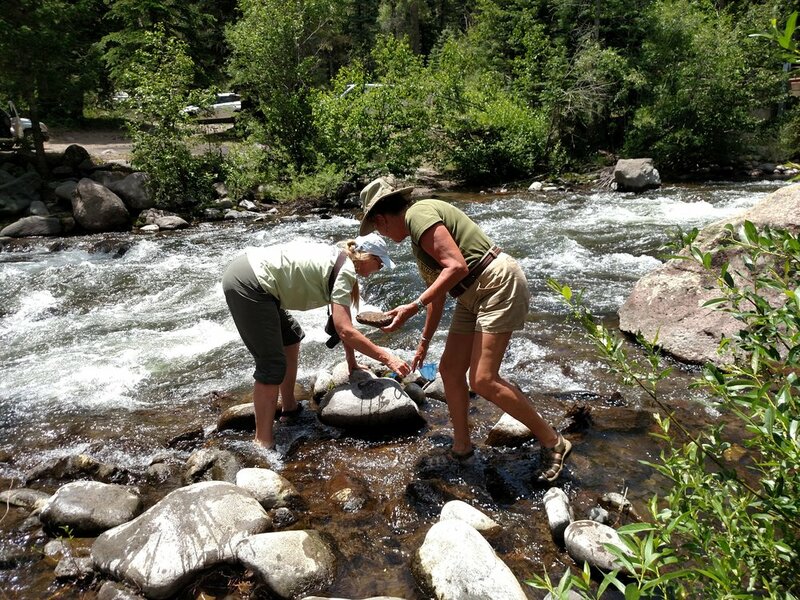 Since 2012, we have trained over 100 teachers across the San Juan River Basin in the My Water Comes from the San Juan Mountains teacher guide, children's book, and kit developed in 2009 by MSI and numerable partners and sponsors. Teachers attend a two-day workshop where they learn watershed science, and the model lessons found within the My Water guide. Coming Soon! A list of teacher resources for teaching watershed science. Click for a guided visual tour of each watershed! Local teachers practice a lesson on benthic macroinvertebrates (river bugs).